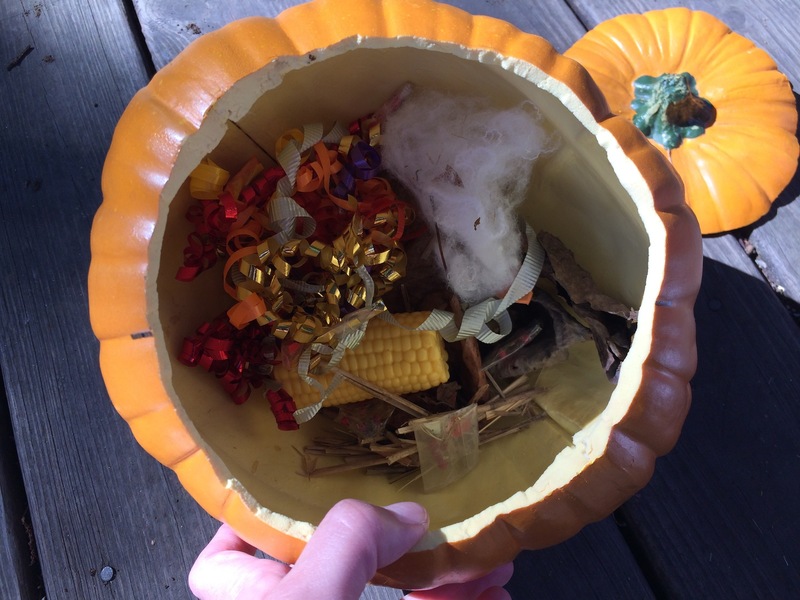 I was looking through last year’s Pumpkin & Compost Storytime blog post and just now noticed I left out one of my favorite parts of that storytime! Pumpkin Stew! My former coworker, Vicki, made this fun prop to go along with this autumn song and was so kind to allow me to borrow it for this storytime. 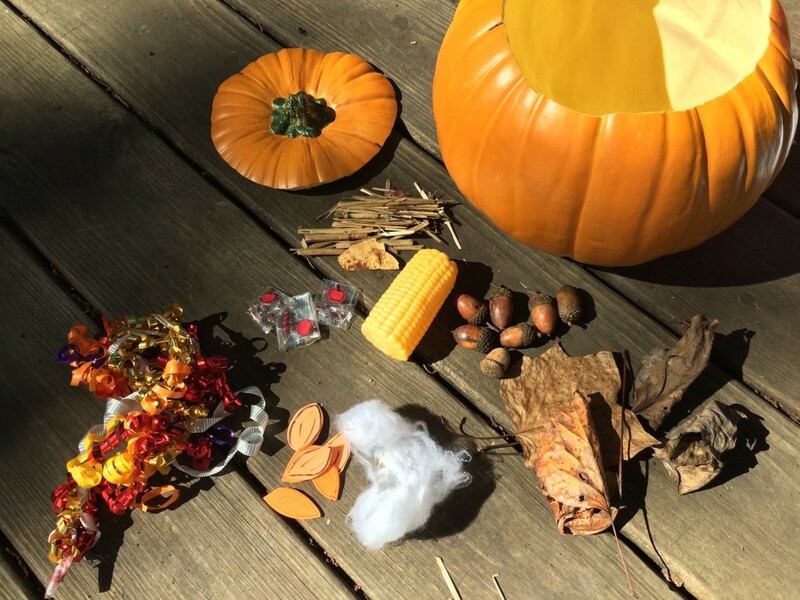 She cut out the top of a decorative styrofoam pumpkin that can be found at dollar stores or craft stores and she also made or found all the ingredients mentioned in the song. I can’t believe I forgot to write about this, because it was one of the highlights of that storytime! I even found the pictures I had meant to include in a file from last year! Oh well. Better late than never, right? I kept all the ingredients for the pumpkin stew in a separate bowl that the audience couldn’t see into and added them to the hallow pumpkin as each item was mentioned in the song. As we sang the song, I invited the audience to pretend to make their own pumpkin stew by making stirring motions and putting ingredients in a pretend pot as they sang along. But I don’t think I’m hungry.. 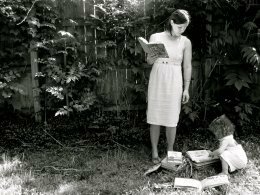 If you’re looking for books to enjoy during this time of the year, check out the autumn book list I put together earlier this week. Oh, how I love this time of year. Happy Fall! Again, thank you for sharing all of your wonderful ideas. Our library apple picking story exploration was a HUGE hit and your apple pie craft went over in a BIG way!! One mom emailed a picture of her sweet 2 year-old sleeping with it! And one young boy, Reid, has come to our weekly storytime 2 times since carrying his “apple pie!” You are a beautiful person and I appreciate you! How wonderful! I love that one of your storytimers went to sleep with their apple pie! This is such happy news and I appreciate your sharing it more than you know. Thank you, thank you, thank you. This looks so cute! I see the last comments were quite a while ago, but if you happen to see this, I’m just wondering what tune this song is sung too? Thanx a lot! Hi Kelly! There is no specific tune that this rhyme is paired with. I did it in a completely different way than my co-worker did! Whatever comes most natural to you!